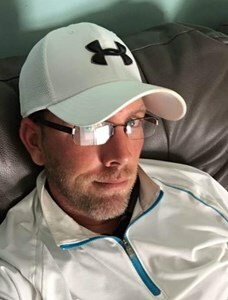 Newcomer Family Obituaries - William 'Jamey' Gollihue 1984 - 2019 - Newcomer Cremations, Funerals & Receptions. William Gollihue "Jamey" of Grove City, OH passed away peacefully Wednesday February 6th at the age of 34. Jamey fought a brave and courageous battle with Glioblastoma Brain Cancer. He leaves behind his best friend and wife Tammy Gollihue, step-children Trenton Evans and Morgan Evans, loving parents Bill and Nan Gollihue, sister Tiffani Gollihue and grandmother Anne Loyd (Rotonda West, FL) As well as many aunts, uncles, cousins and friends. He is preceded in death by his grandfather Russell Loyd. Jamey graduated from Grove City High School in 2003 and went on to become a plumber pipefitter. He worked for the union in Local 189. He took great pride in his work and loved his union brothers. He was always full of energy, made everything fun and wanted to see people smile. Jamey enjoyed all sports from baseball to snowboarding, but his passion was golf. He played collegiate golf for Columbus State, enjoyed his Thursday night golf league with his buddies and liked to brag about his low handicap. We will always carry his memory, contagious laugh, silliness and zest for life in our hearts. GooStrong Forever! Funeral to be held Monday, February 11, 2019 at 5:30pm with a gathering of friends and family from 3:30-5:30pm at Newcomer Southwest Chapel, 3393 Broadway, Grove City OH 43123. Memorial donations may be made to The Kobacker House, 800 McConnell Drive, Columbus OH 43214. Add your memories to the guest book of William Gollihue. I leave this message to my dear friend Tammy who was my friend in grade school. I Wish I had the chance to meet your husband Jamey. I see his love for you in the way he looks at you in your photos. I can see the same love you have for him in the way ypu look at him. I am so happy that you two found each other and shared your love here on earth for all the years you were able to. You can continue the same love just in a different way till you meet again. My thoughts are with you, i know your Grandma and Mom were very strong women and they instilled that into you Tammy. I Love You girl and i send you my condolences. He has his wings now, so you let him fly. ?? We were so sad to hear about the loss of our former classmate. Nate and I graduated with Jamie and were in his marketing DECA class. I have several goofy pictures of us together! He was such a great guy, funny and always happy! That’s what I remember most, always smiling! We lost touch after school and ran into each other from time to time. He always had his arms open for a hug. He is a perfect example of the saying “the good die young” I’m so sorry to his family and friends. I can not imagine your pain. I would like to express my sincere condolences for your family’s loss. Losing a loved one in death is never easy. May you allow the reminder that we are never alone during such difficult times bring you great comfort. Psalm 34:18 says that God “is close to the brokenhearted; He saves those who are crushed in spirit”. Jamey was always fun to be around. I loved hearing him talk about golf. When he came down to Georgia for a visit, all he wanted to do was play. We was an awesome nephew. Keep an eye on us buddy.